If your property is currently tenanted and you wish to transfer the management to Edward Mellor, we are happy to do this for you free of charge. Who Are We Regulated By? ARLA (The Association of Residential Letting Agents) are the only professional body that is solely concerned with the self-regulation of Letting Agents. ARLA actively promote the highest standards across every aspect of residential lettings and management in the Private Rented Sector. Members are required to work within a robust Code of Practice. There are comprehensive member Regulations covering such issues as handling and accounting for Clients Money, mandatory Client Money Protection Bonding Scheme, Professional Indemnity Insurance, Complaints Handling and Membership of an Independent Redress Scheme. ARLA leads by setting the highest standards in the industry and demands certain levels of professionalism and commitment to customer service from its membership. The Property Ombudsman (TPO) is an independent body which regulates the standards of practice for members in sales and letting agents. TPO provides a free, fair and independent service for dealing with unresolved disputes between sales and letting agents who have joined the TPO and consumers who are actual or potential buyers or sellers or landlords or tenants of residential property in the UK. It is a landlord’s legal duty, as required by the Gas Safety (Installation and Use) Regulations 1998 to ensure that a valid Landlords Gas Safety Certification is provided at the commencement of every tenancy and is renewed every 12 months for the duration of the tenancy. The certificate should be provided by a Gas Safe registered engineer. If you are arranging the inspection yourself, please note that it is a legislative requirement that your tenant and your agent receive a copy of it prior to occupation. If the inspection fails, then any remedial works must be completed and a valid certificate obtained before a tenancy can commence. If you have a Gas Plan with a utility company, please ensure that the yearly service on your boiler is a Landlords Certification, as annual service options are not always compliant with the correct certification required for tenanted properties. Agents and others who market property must be aware that they may be liable for a Penalty Notice if marketing a property without an EPC (Energy Performance Certificate). The EPC is valid for ten years and must be provided by an Accredited Energy Assessor using Government approved software. 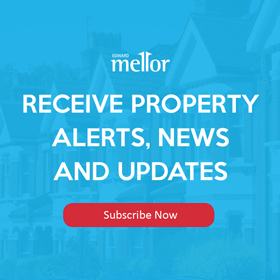 A Penalty Notice for a sum equal to 12.5% the property’s rateable value, subject to a minimum fine of £500 and a maximum fine of £5,000 will be liable for failure to comply with this requirement. As a Landlord you have a duty of care to your tenants, and it is recommended that both the electrical installation (wiring) and any electrical items within the property (PAT) are checked to ensure that they are safe to use and do not represent any potential hazards. These inspections must be undertaken by a NICEIC contractor. We have qualified staff and contractors who can facilitate all of the above on your behalf, and can be contacted by calling 0161 443 4777. An electrical certificate is not currently required by law, however, the implications are quite strong if certain safety measures are not taken and if something was to go wrong. All deposits taken by landlords (or agents on behalf of the landlord) for Assured Shorthold Tenancies in England & Wales must be protected by a Tenancy Deposit Protection (TDP) Scheme. TDP schemes guarantee that tenants will get their deposits back at the end of the tenancy if they meet the terms of the Tenancy Agreement and do not damage the property. If you don’t protect your tenants’ deposits when required to, your tenants can take you to court and you may have to repay them their deposit plus a penalty of three times the deposit amount. You will also be unable to seek possession of your property in certain circumstances. Edward Mellor do not hold clients’ deposits. Instead, we will transfer the tenant’s deposit over to the custodial scheme run by Deposit Protection Service (DPS). This is included in all of our service packages, however, if you do not wish to use this service you must advise our Property Management Department and provide them with details of the service you are registered with, along with the prescribed information that needs to be incorporated into the Tenancy Agreement. We recommend that all deposits taken and held prior to this ruling are also registered to prevent any complications in gaining possession of your property. Income tax is payable on the net income of the property you are letting. It is your responsibility to inform the Inland Revenue of your letting income, regardless of whether you are a resident or non-resident landlord. The Inland Revenue have the right to ask your letting agent to disclose the names of all landlords they act on behalf of and we are legally required to provide this information to them. Bear in mind that you can only claim expenses that are solely for running your property letting business. If the expense is only partly for running your business (or if you use the property yourself) then you may only be able to claim part of it. As a landlord there is a potential that you will be exposed to Capital Gains Tax if you sell the property. To ensure you have all the correct information, taking into consideration your own individual circumstances, we recommend that you take professional advice on your potential tax liabilities, so that you commence any tenancy in full knowledge of your obligations. If you are intending to reside overseas permanently or are required to work overseas for a length of time, it is your responsibility to contact your tax office. You may be entitled to apply for a tax exemption certificate, however, if we do not receive this we are obliged to retain the tax from each monthly rental at 20% and pay this to the Inland Revenue in accordance with the Taxes Management Act of 1970. To apply for an exemption you will have to complete and submit an NRL1 form, please contact our Property Management Department. Firstly, you are not on your own. Particularly in this climate there are many landlords that struggle with rent arrears and you can take all the best preventative measures possible, but it can still happen. Dealing with rent arrears and tenant eviction can be very complex depending on the situation. Whether you are an Edward Mellor client already, or just seeking some advice and guidance, we will always be willing to help and can offer ad hoc services to assist you in your situation. Contact us on 0161 443 4777 for more information.